Whatever our age, few things mean more to us than home. By the time your parents retire, they’ve certainly earned the right to enjoy their new leisure time in the home they’ve spent decades creating for themselves. In fact, AARP’s research revealed that 90% of American seniors prefer to remain in their own home as they grow older. Unfortunately, for many Americans, the golden years bring not only restaurant discounts and mah-jongg tournaments, but also disability, forgetfulness, and other issues that make living alone more challenging. You may be feeling pressure from all sides to consider nursing homes, among other options for elder care. What choice is right for your family? Cost is a primary consideration for many Americans, with senior healthcare expenses often reaching into the thousands each month. Genworth Financial’s nationwide research reveals that, of all available options in 2016, home support care was one of the most affordable, coming in at nearly half what a family would pay for a private room in nursing home. Check your family’s insurance policies to find out what services may be covered under your policies; you may be in for a pleasant surprise. Long-term nursing services, home modifications, and other bills may be offset with the right coverage. Few people lose their independence overnight. Perhaps your Dad is fine on his own most days, though he’s no longer comfortable driving. Maybe Mom has confessed that she can’t be bothered to cook balanced meals for only herself, and is eating her favorite cereal for every meal. So, he just needs an occasional lift, and she needs a hot meal prepared daily. 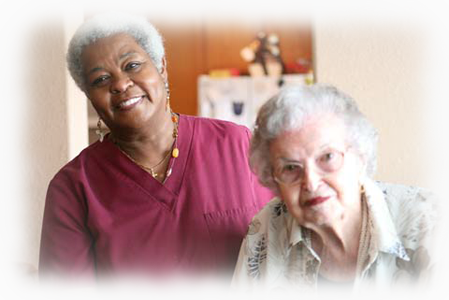 With home elderly care, these situations can be managed as they arise, or scaled back when possible, preserving continuity for your loved one and avoiding the abrupt loss of autonomy that may be felt in moving to assisted living or a nursing home. Nobody loves your parent like you do, and that makes you their best advocate. With the national media reporting everything from flu epidemics to serial abuse in some nursing homes, it’s no wonder that elder care at home has become a priority for many families, especially if their loved one is particularly vulnerable, or unable to communicate. Very often, it’s an accident or illness that suddenly brings us face to face with one of the most difficult decisions our family will ever make. The stress of this situation on your parent will be even more difficult to bear, if it means losing their home along with their friends and neighbors, their favorite routines, or their independence. This stress can be especially tough on those coping with dementia, or depression. In these cases, the familiarity of home and family may be crucial to their well-being. If the thought of caring for your loved one at home seems overwhelming at first, don’t forget that there are home support care professionals available to assist you and your parents through the transition, and experienced caregivers who can help your parents at home, where they belong.